This was such a fantastic review, it made the whole team very proud, it just goes to show what can be achieved when people are passionate about what they do. I felt it necessary to pen this brief email as I walked out of the Peugeot garage tonight on cloud nine and I still have not stopped smiling. 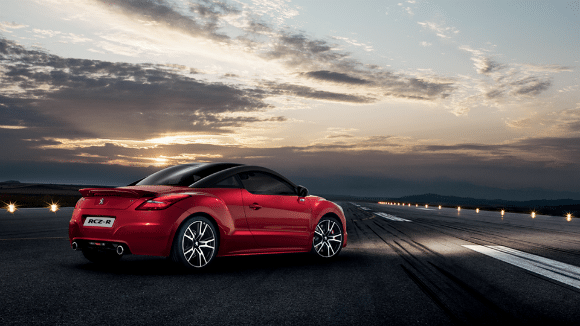 Ever since I saw a Peugeot RCZ come zooming past me on the Welshpool Road a few years ago, I have wanted to own one, one day, maybe in my dreams. It was a great ambition to have. This is now my third Peugeot. I started with a blue 207, manual transmission that a salesman called Ian helped me choose as my former Vauxhall Astra was on its way out. I liked that car, Personal injury circumstances forced me to change that car to the 308 Automatic. Dan sold me that car, it was the best available at the time, Dan again was brilliant. I didn't like the forced change, but I had the means to get about, so I accepted that I had to just ' get on with it'. Dan helped me to adjust to the automatic so I didn't look a complete fool trying to drive away. He was a real gentleman. Donna, has been brilliant in her customer service to me as a Peugeot customer for all my varied trips and phone calls. She has known of my dream to own an RCZ and every time I have seen one at the showroom, all I could do was dream of the day. Today was that day. You could say I've worked my way through the numbers (almost). It is only right and proper to let you know that because of the service plan I took out with the 308 that I found myself once again looking at the RCZ as I sat and waited for the MOT on the 308. Enter Michelle and her energy and passion for Peugeot! Michelle came up to me and asked if I was ok, did I need a coffee. I replied, I was fine, but made a throw away but wistful remark to her saying I bet you don't do that in an automatic. Well at this point, I have to say, Michelle was fabulous and fun, she said she liked a challenge and off she went. Not long later, she came back and said which colour would you like? Astonished I said its an RCZ who cares what colour it is, is it an automatic? Yes came the reply. I said I couldn't afford it yet, but Michelle said, come and talk to me. So I did. She was on the phone chasing one of the two RCZ vehicles she had found, we began the paperwork, whilst she did that the RCZ was sold to another. Michelle immediately chased the other car down, and secured it, before anything else could happen to it. Her phone was relentless in ringing, if not from the enquiries re the vehicle, other colleagues too calling. All of the time, she also was sterling in her customer service with me, not once did she lose attention to detail or patience with the phone. I cannot in all honesty say I would have balanced all that, Michelle did effortlessly, or so she made it appear.